THARPARKAR: United Nations (UN) representatives have joined the call to end child marriage in Pakistan. Tharparkar was the first stop of UN Under-Secretary General and UN Women Executive Director Phumzile Mlambo-Ngcuka. At an event organised under the umbrella of the 16 Days of Activism Against Gender-based Violence campaign, held at Shaheed Benazir Bhutto Cultural Complex in Mithi, she called upon the community to end child marriages and voice their commitment to change the lives of girls and young women for the better. “Becoming a ‘zero child-marriage’ village will require everyone’s efforts,” said Mlambo-Ngcuka. Girls and young women must have the means and information to make their own decisions. They need to know that they are not property. They have both, rights and a voice to say No.” She was addressing over 300 residents, notables of the area, government officials, civil society representatives and members of the local press, gathered at the event. “When the whole nation commits to tackling deep-rooted traditions like child marriage head-on, millions of girls stand to benefit. This is also a task for men, who can accelerate the process by simply saying ‘I will not marry a child’,” she added. She urged religious and other leaders in positions of authority to take a stand against violence and protect the rights of girls. The executive director received pledges from religious clerics, registrars and local politicians to make Mithi a ‘zero-child marriage’ village. Sindh Women Development Minister Syeda Shehla Raza also spoke at the event. Raza said that child marriage is a contributing factor to the relatively high rate of maternal and child mortality in Tharparkar and it needs urgent attention through multipronged interventions. The minister added that the Sindh government is doing everything possible to ensure the implementation of laws related to women’s health and the social, political and economic empowerment of women. Pakistan’s Child Marriage Restraint Act 1929 sets the legal age for marriage at 16 for women and 18 for men. 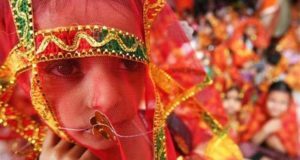 In April 2014, Sindh Assembly unanimously adopted the Sindh Child Marriage Restraint Act, making marriage under the age of 18 a punishable offence. 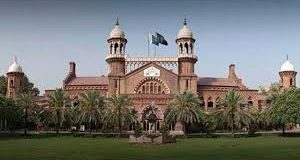 However, Raza stressed, more public awareness and oversight by relevant authorities is needed to ensure adherence to the law. Child marriage is a fundamental human rights’ violation that constitutes a grave threat to young girls’ lives, health and future prospects, she said. The right to ‘free and full’ consent to a marriage is recognised in the Universal Declaration of Human Right – with the recognition that consent cannot be ‘free and full’ when one of the parties involved is not sufficiently mature to make an informed decision about a life partner. “This [child marriage] issue needs a continuous and focused effort, and we are thankful to UN Women for supporting the Sindh Commission on the Status of Women in conducting training of marriage registrars all over Sindh which will involve local government officers, commissioners and union councils,” said Nuzhat Shirin, Chair of the Sindh Commission on the Status of Women. Mlambo-Ngcuka encouraged the community to be more vigilant and to prevent and report cases of under-age marriages and called upon religious leaders who solemnise marriages to confirm whether the bride and groom are of legal age, stressing the importance of birth certificates and national identity cards for verification that they are above 18. Social and gender inequality, a desire to control women’s sexuality and protect family honour, economic hardship and lack of awareness of the harmful impact of child marriage are common driving factors. Working with men and boys is critical to end such marriages as in many communities where men hold the power and make the decisions, she said. Pakistan Gender News © Copyright 2013, All Rights Reserved.